Whether you are a consumer or a grower, you may have noticed that organic berry production has become a huge business in the U.S. Over the last five to 10 years, I have seen many organic berry production presentations draw large crowds at national and state conferences and trade shows. This is because more and more consumers purchase organic produce than they used to. Organic berries are a superstar in this crowded field of organic produce because they taste good and have been known to have many health benefits. “USDA Certified Organic” has made berries even more appealing to consumers. According to Nielsen and the Organic Produce Network, organic berry sales, which include strawberries, blueberries, and blackberries, topped $586 million in 2017. 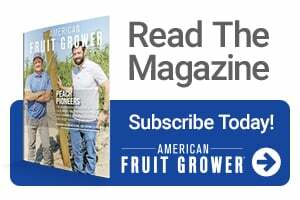 Whether you are a beginning grower or an experienced grower, you may want to consider organic berry production to stay ahead of the competition and meet this growing consumer demand. Here are answers to some common questions. This information may be too basic for some, but hopefully useful to many small-scale farmers who want to get into organic berry production. Why should you get into organic berry production? There may be many reasons. Growing demand by consumers may be one, while generating a higher profit could be another. To find the answer to this question, I scheduled a visit with Sue Borton, the owner of Brickel Creek Organic Farm in Jamestown, OH. When I asked why she got into organic production, she said, “I have never considered any other way! 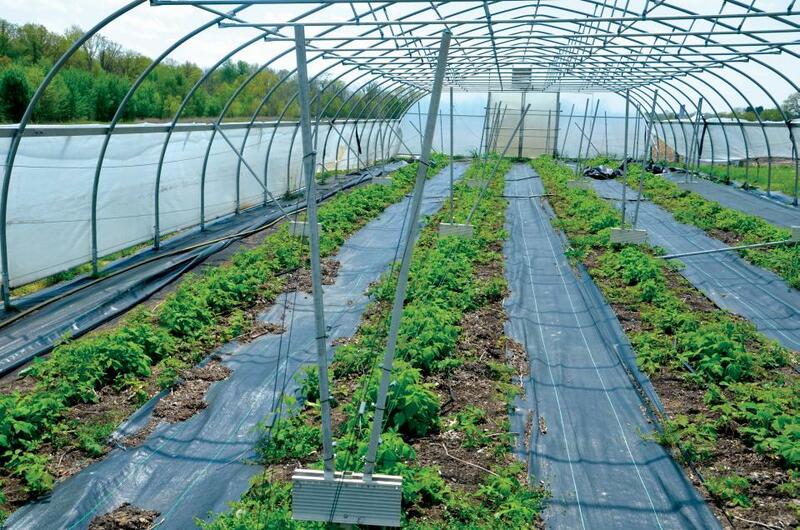 We wanted to grow produce like our ancestors, with love and integrity.” Borton grows and markets organic blackberries, raspberries, herbs, and vegetables on a 1.5-acre certified organic plot on her 69.5-acre farm. Do I have to wait for three years to be fully certified organic? It depends. Typically, conventional ground takes three years to transition from conventional to organic. However, you may be able to get around that three-year period if you can document that the area has either been left fallow or has not been treated with any prohibited chemicals for three years. In Borton’s case, the farm she purchased had been a pasture without chemical input for around 60 years. She was able to document all that with the help of the farm’s previous tenant. Borton’s farm was certified by a USDA-approved verifier in the first year. This was great news, since she did not have to wait. Borton had collected a lot of organic production information from various sources before she purchased the farm. Where do growers get information on organic berry production? Like reasons for getting into organic production, sources for organic berry production are many, too. The USDA’s National Organic Program is a good place to start. There is a lot of useful information on this website. Prospective organic berry growers can locate an organic certifier in their state by using the Organic Certifier Locator. When I asked Borton where she typically gets her information, she told me that she belongs to the Southwest Ohio chapter of OEFFA and gets a lot of good information from her fellow organic farmers. Many universities have wonderful information on organic production. For example, Cornell University has quite a few organic guides for fruit, such as brambles, grapes, and strawberries. Borton made my day when she mentioned that she uses services at Ohio State University. Extension services at all land-grant universities are certainly a wealth of information. My suggestion to organic growers is to reach out to your local Extension professionals. They can help you a lot. Successful organic berry production takes healthy soil, disease-resistant and productive berry varieties, careful monitoring and management of pests, diseases, and weeds, and a lot of hard work. When I interviewed Borton on that beautiful Friday afternoon for this article, I was deeply moved by her passion for organic produce production and Mother Earth. What helpful advice could you give a new grower? Organic berry production is hard work. BortonShe also mentioned that she has another job for income, health insurance, and retirement. She has not drawn an income from the operation herself. I would suggest the same thing to a new grower. Do not quit your day job until you know you are generating enough income. That can take years. Another good piece of advice is diversification. Borton grows vegetables and herbs for additional income. Herbs and vegetables come in different times than berries. That is very important for a steady cash flow. In sum, organic berry production can be a good way to generate farm income, and there is strong demand by consumers for organic berries. You may as well get a piece of that big pie. Dedication, passion, constant learning, effective networking, and hard work can pay off. If your operation gets big enough, you may be able to quit the day job after all. 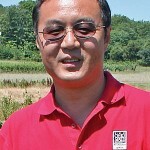 Gary Gao is the small fruit Extension specialist and associate professor with The Ohio State University. See all author stories here.